Welcome to the Hotel Sempati, Kyrenia North Cyprus. Located in a tranquil sea-facing situation, our hotel offers high standards of accommodation and excellent value and is the ideal location for a holiday in Northern Cyprus. 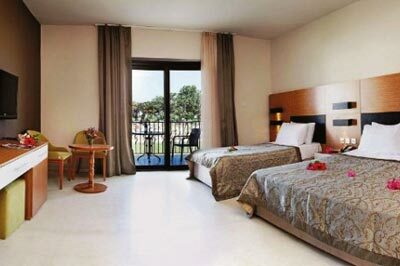 Hotel Sempati is a comfortable family-run hotel in Northern Cyprus and like many other North Cyprus hotels we offer a friendly service together with high standards perfect for your North Cyprus holiday. Our popular and friendly hotel is situated 10 miles west of Kyrenia in a particularly tranquil area with a wonderful mountain backdrop and spectacular views of the Mediterranean Sea. Hotel Sempati offers a high standard of accommodation and every room has the benefit of superb sea views because of its unique crescent shape. Each room overlooks the private swimming pool patio area & gardens. The hotel has 65 rooms, each with an en-suite bathroom, mini bar, satellite television, air-conditioning and direct dial telephone. There is an indoor restaurant and a lounge bar serving both snacks and a wide range of drinks as well as a comprehensive a la carte menu. There is public beach available within 100 meters, and several local restaurants are within easy walking distance. 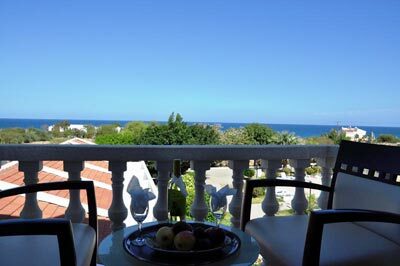 An ideal setting for those seeking a peaceful relaxing sunshine holiday in the unspoilt paradise of North Cyprus. You can go by frequent local minibus from the main road which is close to the hotel into the harbour town of Kyrenia which takes about 15-20 minutes. 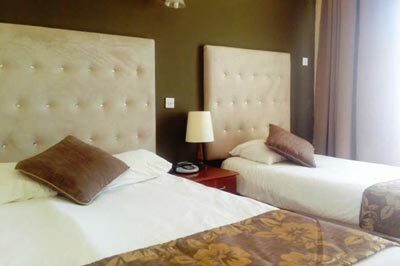 We offer best prices to our guests. Check our prices regularly as we have offers available throughout the year. We have many repeat guests who return year after. We can arrange your package holidays including direct flights, private airport transfers and car hire - our package holidays start from only £ 299 pp. You can fly to Larnaca airport from 18 UK airports and Ercan airport from Manchester, Stansted, London Gatwick, Heathrow & Birmingham, Edinburgh and - for prices & availability please contact us. From the UK you can fly into Ercan Airport in North Cyprus from Stansted, Heathrow, Manchester or Birmingham Airports or alternatively you can fly into Larnaca Airport in Southern Cyprus from most UK airports. As part of your holiday package we arrange for a private taxi to bring you direct to our hotel. Flights can also be arranged from other countries to either Ercan, Larnaca or Paphos Airports. Why not let us organise your wedding on the beautiful Mediterranean island of North Cyprus. We will make your day Special and Unforgettable - a day to remember for the rest of your life. North Cyprus boasts an average of 300 days of sunshine and here at the Hotel Sempati we can make all your wedding arrangements for you. You can enjoy your wedding in beautiful North Cyprus stress free with all your problems solved as we will make all the arrangements for you and your wedding guests. North Cyprus offers a broad range of both local and international food with restaurants offering everything from a simple cheese sandwich to the finest French Cuisine. The choice of food is limitless with restaurants offering Italian, Indian, Chinese, as well as traditional Turkish Cypriot with specialities that are highly recommended such as hot & cold meze, which are a superb selection of hot and cold starters such as cheese borek, koftes stuffed in liver and onion and many many more the choice and variety is endless!!!! North Cyprus boasts some of the best scuba diving in the Mediterranean as well offering over 300 days of guaranteed sunshine and good diving conditions for twelve months of the year! 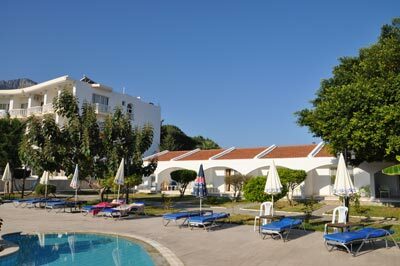 One of best hotels of North Cyprus, perfect for families and couples alike.